It's the summer before eighth grade, and Stu Truly is enjoying the start of his vacation! His plans consist of playing video games, hanging out with his friends, and, more importantly, hanging out with Becca. But when Stu has a daydream of kissing Becca, he panics. He isn't even sure if he's actually going out with Becca. Sure, they've held hands a couple of times, but that doesn't mean they're going out, does it? Dan Richards grew up in a small town eating meat, avoiding vegetables, and cheering at the annual Irrigation Festival parade. He's a graduate of the University of Washington's Writing For Children Program, where he wrote his first picture book, The Problem with NOT Being Scared of Monsters. 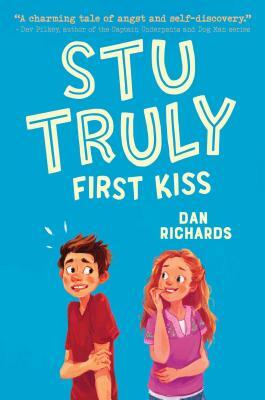 Stu Truly was Dan's debut novel. He lives with his family in Bothell, Washington. You can learn more about him at DanRichardsBooks.com.